We are a locally owned and operated company that values honesty, integrity, and treats your home as if it were our own. We specialize in door installation and door repair, as well as hardware, latches, and tracks. Our services are customized to the individual project, paying close attention to the details of each project that we are involved with. We look forward to building long-term relationships with our clients and guarantee your satisfaction! Specializing in custom Mahogany doors, the craftsmen at RCH DOOR Inc. have been producing doors of unsurpassed quality for the most discerning homeowners and architects for over 10 years. Our product line, which includes entry, interior and French doors, is hand crafted with artisan inspired attention to detail. These quality creations can be shipped to your home anywhere in the U.S. or Caribbean. Temperglass is a company with over 15 years of experience, with extreme know how in custom made projects such as Shower Doors, Storefronts, both commercial and Residential glass related projects. Temperglass is the ideal company to meet the clients expectation for that specific project and we give lifetime warranty on all of our shower door enclosure hardware. Sliding Door Express offer lock and latch repair, handle repair or replacement, roller and ball bearing repair, track realignment or replacement, and much more, all in Miami, Palm Beach, Broward and the surrounding areas. Matterhorn represents the owner throughout the remodeling process, this way you can enjoy the results and avoid the complexity of dealing with subcontractors. Together, we finalize the style and details you are looking for and within budget and an established timeframe you remodeling will take place. Building and Home maintenance can be a full-time job no matter how modern and up-to-date a building or home actually is. Walls, floors, wiring, and plumbing begin to wear and tear very quickly if a building endures a lot of traffic and use. HMG Clean Out is the janitorial commercial and residential cleaning crew you will ever need! We specialize in: •Office Cleaning - daily, weekly or monthly •Day Porter Services •Restroom sanitation •Power and Pressure Washing •Window and Blind Cleaning •Ceiling and Wall Cleaning •Duct Cleaning •Light Bulb Maintenance •Building Maintenance •Parking Lot Maintenance •Landscaping •Construction Clean-ups •Fire and Flood Cleaning •Home Cleaning •Debris removal and demolition if needed. We also provide carpet cleaning, window cleaning, and we can handle your small repairs needs such as: •Changing light bulbs, ballasts and fixtures • Repairing clogs & leaks; •replacing P-traps, toilets, faucets, sinks, flappers and flushing valves, •Hanging, changing, removing shelves, doors, cabinets, hinges, door handles •Patching drywall, repairing and prepping walls. •General painting and touch up painting of walls, baseboards, trims and door •Changing ceiling tiles, air conditioner filters, water filters, etc. •We also offer paper products and cleaning supplies used to maintain your facilities. We are indeed, your all in one janitorial service company. We provide janitorial services for homes, office buildings, medical facilities, schools, churches, retail stores, and industrial buildings as well as private and residential homes. 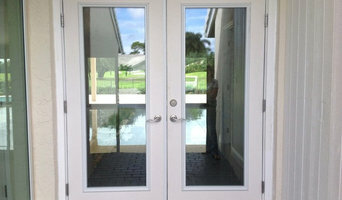 B&B Door Co. was established over 23 years ago in Miami, FL. In our early years, we were strictly an overhead door installation company working as a subcontractor on new construction projects. Over the years, at the request of our customers, our company expanded into a full line door installation and service company. We now service, repair and install most types of commercial, industrial and residential doors throughout Florida with our headquarters in Miami. Consider us your local door professionals. Call us today for a FREE consultation. R. CH . 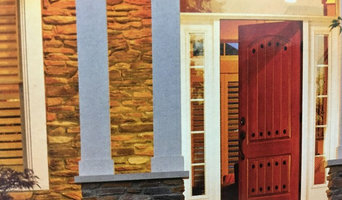 FINISH DOORS INC, began in 2008. We provide quality service and guarantee in painting wooden doors stain and varnish (exterior and interior ) in the area of Miami Dade and Broward . Now we include the sale of wooden doors and faberglass regular (standard) and irregular size and customer requirements. We made sure to meet the needs of our customers with good service .